Stop cyber intrusion attacks & data breaches, in real time! Users are prompted to complete the authentication via the white-label IAmI app with just 'one touch' - either with a Confirm or Deny response. No OTPs/SMS/Emails. It's that powerful and that easy! For the first time ever, users of IAmI will be able to detect AND prevent intrusion attacks to accounts, portals and/or critical networks and servers, disabling hackers in real-time! At a time when passwords and password management is being severely challenged and compromised, IAmI completely eliminates all issues in this area, through its Passwordless Authentication. No more passwords. Users can now simply login with just their username and their password is replaced with them authenticating from the IAmI app. It's safer, simpler and stronger. 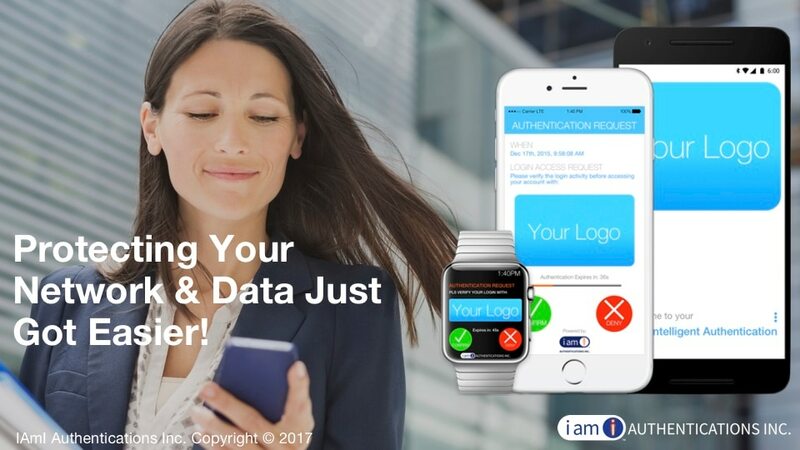 IAmI protects your network and data by empowering your users to self-monitor and protect their login credentials, 24/7. IAmI takes out the guess work and or worry about credentials being stolen.